Datamax Black Resin Enhanced Wax Transfer Ribbon, 1181 ft. X 4.5 in. Premium Resin-enhanced wax ribbon - black. No other wax product beats TR4085plus® when it comes to Edge Definition™ for crisp, rotated bar codes and dark, durable images. This unique ink formulation dissipates static. DNP Transfer Ribbon is versatile enough to print on a wide variety of label stocks. Industry's leading wax product since its introduction in November 2001. Manufacturer warranty covers any defects up to 12 months of purchase and limited to a replacement. Premium Resin-enhanced wax ribbon - black. No other wax product beats TR4085plus® when it comes to Edge Definition™ for crisp, rotated bar codes and dark, durable images. This unique ink formulation dissipates static. DNP Transfer Ribbon is versatile enough to print on a wide variety of label stocks. Industry's leading wax product since its introduction in November 2001. Manufacturer warranty covers any defects up to 12 months of purchase and limited to a replacement. 1476 ft. X 4.33 in. 1476 ft. X 2.36 in. 1181 ft. X 3 in. 1476 ft. X 3.5 in. 1476 ft. X 3.15 in. 1181 ft. X 4 in. 1181 ft. X 4.5 in. 509 ft. X 4.09 in. 1499 ft. X 4.17 in. 1345 ft. X 4. in. 1476 ft. X 5.12 in. Zebra Black Resin Enhanced Wax Transfer Ribbon, 1476 ft. X 3.15 in. Zebra Black Ultra Durables Wax/Resin Transfer Ribbon, 1476 ft. X 4.33 in. Intermec 3400, 8646 Black Ultra Durables Wax/Resin Transfer Ribbon, 509 ft. X 4.09 in. Zebra Black Resin Enhanced Wax Transfer Ribbon, 1476 ft. X 2.36 in. Datamax 600/800 Black Resin Enhanced Wax Transfer Ribbon, 1476 ft. X 3.5 in. Intermec 3400, 8646 Black Resin Enhanced Wax Transfer Ribbon, 509 ft. X 4.09 in. Datamax Black Resin Enhanced Wax Transfer Ribbon, 1181 ft. X 4 in. Zebra Black Resin Enhanced Wax Transfer Ribbon, 1476 ft. X 3.5 in. Sato Black Resin Enhanced Wax Transfer Ribbon, 1345 ft. X 4. in. Datamax Black Resin Enhanced Wax Transfer Ribbon, 1181 ft. X 3 in. Zebra Black Resin Enhanced Wax Transfer Ribbon, 1476 ft. X 5.12 in. 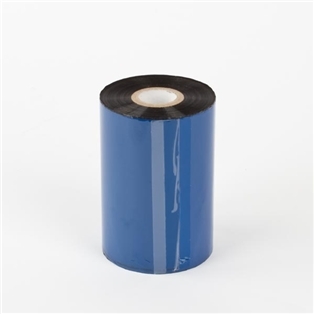 Intermec 4400 Black Resin Enhanced Wax Transfer Ribbon, 1499 ft. X 4.17 in. Zebra Black Resin Enhanced Wax Transfer Ribbon, 1476 ft. X 4.33 in.